Wade Wilson (a.k.a. Deadpool) is an interesting fellow. He breaks the fourth wall here and there, makes film and TV references mid-fight, and just doesn’t seem to care about order or chaos. If he’s got money and pizza, he’s good. 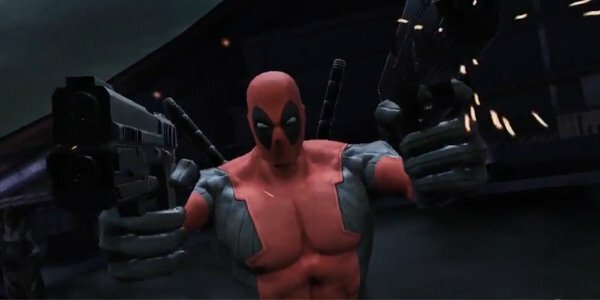 The Deadpool video game is set to feature all the quirks that make this character insanely popular with Marvel Comics fans, and lots of gore. However, the plot still escapes us — apparently, it has to do a lot with mutants, since Psylocke and Mr. Sinister have been revealed to appear in the game, which will also have Wolverine, Red Hulk, Domino, and titular character’s former partner Cable. Psylocke is a mutant who possesses a variety of powers, ranging from precognition to telekinesis, while Mr. Sinister’s an old nemesis of the X-Men. The former was included in the Marvel Ultimate Alliance 2 roster, while the latter made his debut in issue #221 of Uncanny X-Men, and eventually became one of the most prominent enemies of the aforementioned team — he’s made appearances in shows (X-Men: The Animated Series, Wolverine and the X-Men) and other video games, such as X2: Wolverine’s Revenge and X-Men Legends II: Rise of Apocalypse. We feel like Deadpool is finally getting the attention he truly deserves. I mean, sure, he was a playable character in Marvel vs. Capcom 3: Fate of Two Worlds, but he rarely got the opportunity to delight us with his trademark humor and wit. Do not even get me started on Ryan Reynold’s awful performance as Wade Wilson in X-Men Origins: Wolverine — the character suffered a great deal due to the incompetence of those working on the film, but that’s all in the past. Deadpool is slated to be released on June 25, 2013. Check out the character cards for Mr. Sinister and Psylocke, and let us know what you think.